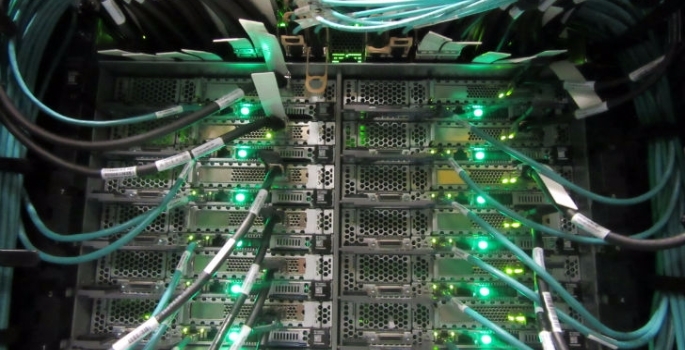 Research and teaching at the University of Bristol will now benefit from one of the fastest and most advanced supercomputing facilities in the UK, capable of up to 600 trillion calculations per second. The new multi-million pound system, called Blue Crystal 4 (BC4), is three times faster than its predecessor and will allow researchers to process vast amounts of complex data at record speeds. Over 1,000 researchers and PhD students in areas such as palaeobiology, biochemistry, physics, molecular modelling, life sciences, and aerospace engineering will benefit from the new system. Supercomputers are regarded as the ‘third pillar’ of modern research due to their important role in speeding up calculations and analysis which would previously have taken many years to complete. 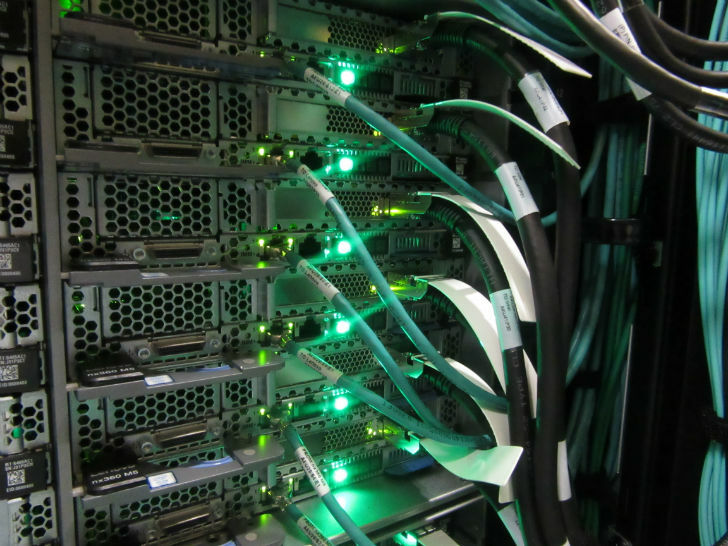 The University of Bristol has invested £16 million in High Performance Computing (HPC) and research data storage in the last 10 years. Uses for Blue Crystal have evolved to include teaching, with students on six courses learning how to use HPC for research projects and real-life applications. Professor Nishan Canagarajah, Pro Vice-Chancellor for Research at the University of Bristol, said: “This new supercomputer reinforces Bristol’s position as one of the leading centres for HPC in the world. Over the past 10 years, its role in world-leading, often life-saving research, has become even more evident and we’re committed to staying ahead of the game. Designed, integrated and configured by the HPC, storage and data analytics integrator OCF, BC4 has more than 15,000 cores making it the largest UK university system by core count and a theoretical peak performance of 600 Teraflops. Dr Christopher Woods, EPSRC Research Software Engineer Fellow at the University of Bristol, said: “We have researchers looking at whole-planet modelling with the aim of trying to understand the earth’s climate, climate change and how that’s going to evolve, as well as others looking at rotary blade design for helicopters, the mutation of genes, the spread of disease and where diseases come from. The Blue Crystal supercomputer facility played a pivotal part in a €1.8 million study into Ebola, looking at the speed of virus evolution, and the corresponding effect on vaccines, diagnostics and treatment.